Paradigm Energy Partners, LLC - Cost efficient gathering and transportation solutions for crude oil/gas/and NGLS. Paradigm gathers and transports Crude Oil, Natural Gas and Gas Liquids in the Bakken and Eagle Ford Shales. 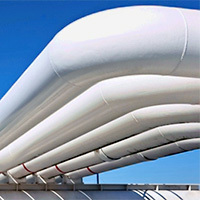 Cost efficient gathering and transportation solutions for Crude Oil, Natural Gas and NGLS. Our management and advisory teams provide unparalleled resources and expertise. Current Paradigm projects and day-to-day operations in the Bakken and Eagle Ford Shales. At Paradigm, we commit ourselves to the highest standards of health and safety. Paradigm Midstream announces the commissioning of its Charlson Gathering System to gather crude from Northern McKenzie County, N.D. The Charlson Gathering System consists of 24 miles of 6” and 8” pipeline gathering into the Charlson Extension. The 91-mile bi-directional Sacagawea Pipeline transports crude from various points in McKenzie and Mountrail counties. 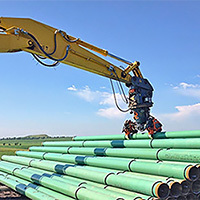 The 16” pipeline offers connectivity and takeaway options on both sides of Lake Sacagawea and provides producers flexible multi-market optionality. 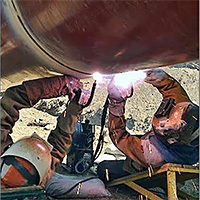 The Sacagawea Pipeline Company, LLC is a joint venture between Paradigm Midstream and Phillips 66 Partners, LP, and Grey Wolf Midstream, LLC. Paradigm Midstream announced the execution of a gathering contract that will anchor the build-out of an expansive gathering system extending from the Charlson Field of northern McKenzie County, ND, south to market take-away located in and around Johnson’s Corner.